STEP 1: Choose and song, or part of a song, that you would really like to learn. STEP2: Do a google (or other) search for the TAB. STEP 3: Explore the different things that come up. 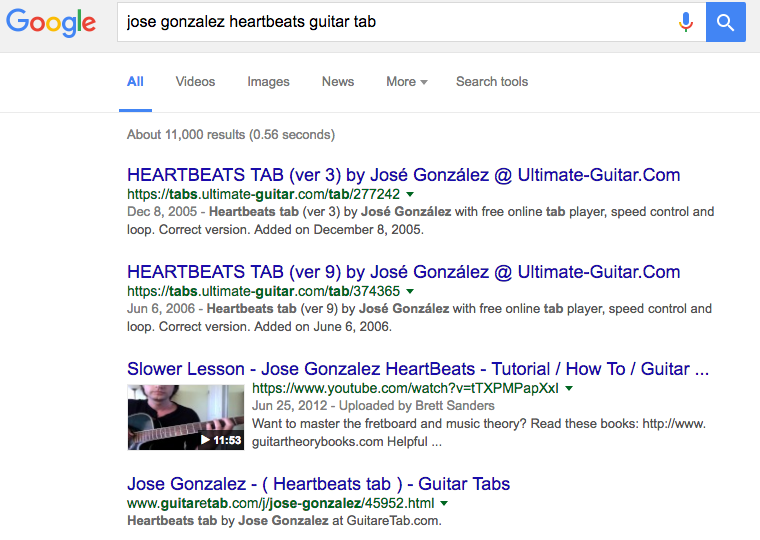 Maybe some results show guitar tab and maybe you are lucky enough to find a youtube tutorial. Look at the material and decide on whether or not it is realistic to learn in 3 to 4 class sessions. A link to the tab or other resources that you will be using to learn that song. STEP 5: After your first full session working on the piece. Record and upload (to DEVELOPING SKILLS) a video of you playing whatever you have so far. STEP 6: After the 4th session, again record and upload you doing your best with the song you have chosen.